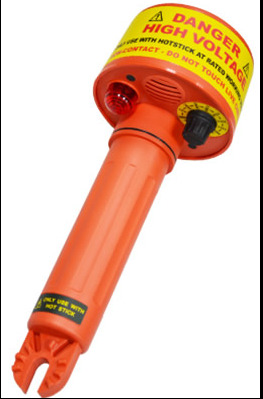 The high voltage detectors and tools are the products that are used for personal safety. With the help of these tools, you would be able to detect high voltage and take necessary precautions immediately to keep yourself and other electric appliances safe. The HVD Capacitive H.V. Detectors come with some excellent features which make the product very unique. The product offers an excellent resistance to shock. The product looks rugged and is molded with nylon. The detector automatically turns on the moment it detects high voltage. The 213 HVD~226 HVD Capacitive H.V. Detector has the ability to offer strong resistance even if it is dropped on the ground accidentally. There will not be any kind of damage to the product. The detector also offers good resistance to vibrations and provides a very loud sound alarm that indicates that there is a high voltage. The detector has a proving and self-test circuit that is already built-in. All the displays are in high bright colour-coded LEDS. The detector can work from standard 9V battery and comes with an interchangeable contact electrode. Another advantage of this detector is that it can be used in all kinds of weather conditions and it is also compatible with all kinds of link sticks. The product is not heavy either. It has a very light weight and yet is robust and compact. The products are available from 11kV to 132kV and can be used either indoors or outdoors under any climatic condition. The product is also equipped with self-auto-on or manual arming. It also has an auto-off feature that will be triggered automatically if no voltage is detected. The product is completely waterproof. The H.V. 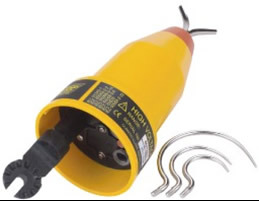 Proximity Detector comes with 8 voltage settings which include 240Vac, 2kV, 6kV, 11kV, 22kV, 33kV, 132kV and 275kV. This product too has several interesting features like sound indication, self-test selection, high impact nylon casing and easy to access batteries. No special parts are needed for this product. This product has also been patented under United States Design Patent: US D474, 705S. The proximity detector is compatible with most of the link sticks and has the ability to detect low voltage on any system. The product uses 3 × 1.5V “C” batteries meets EN 61326-1 EN 55011 EN 61000-4-2 EN 61000-4-3. The proximity detector is suitable to be used both indoors and outdoors. There are also some special ranges available. These are offered on request.